The discovered magnets in the Nexus 7 have been put up to work in a new case. Those magnets are similar to the magnets in the iPad 2 and new iPad 3 that puts the display to sleep when the lids is closed. 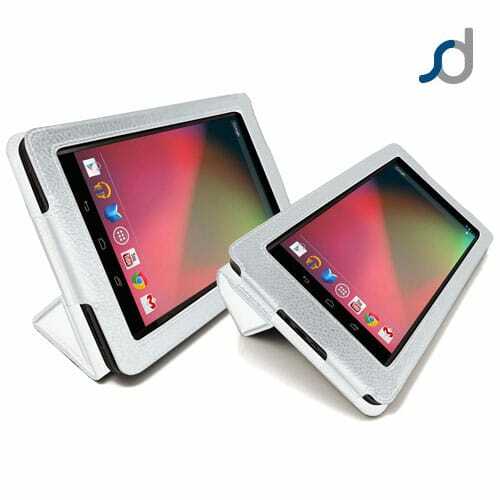 New covers from MobileFun UK uses the magnets in the Nexus 7 for case similar to the iPad’s Smart Cover from Apple. MobileFun UK has different type of cases one named SD TabletWear Stand and the other named “smart cases.” They come have it in different colors and protects your Nexus 7. You can shop for MobileFun UK smart cases at www.mobilefun.co.uk/cat/Nexus-7-Cases.htm and check the covers in a range of colors.